Travel team and mother/daughter duo Melody and Taylor Pittman canvass the globe and document their travelers on their travel blog, Wherever I May Roam. Last year, they visited a number of destinations from the Dominican Republic to Portland, Oregon, but the No. 1 spot on their list of top travel moments in 2016 is Talbot County. “If you have never traveled to the Chesapeake Bay region of Maryland, you are missing out,” writes Melody. 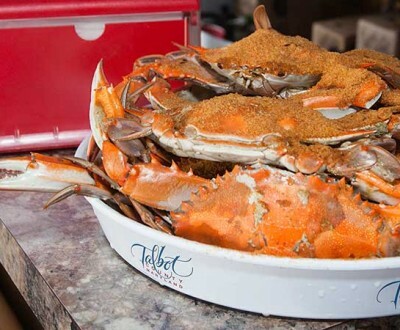 “I found Talbot County to be a wealth of fun and home to some of the most beautiful scenery in the U.S.” The blog features pictures the Chesapeake Bay and its boat-lined harbor, and Melody and Taylor describe the county’s food scene, naming their must-tries in the region. Read more of their review here, and check out additional press stories featuring Talbot County on our blog.